Does the Program Specialize in Your Particular Addiction? Inadequate housing or housing that doesn’t support life in recovery. Concurrent mental and behavioral issues. Do You Prefer to Commute from Home or Stay at the Treatment Facility? 12-Step programs can also be incorporated into treatment settings. In fact, 74% of facilities use a treatment protocol that includes a 12-step approach during early treatment alongside other treatment approaches. Facility-organized programs may follow an individual approach, a group-centric approach or a combination of both. Your facility’s therapist will discuss the program with you in-depth before you begin. Typically, many people choose to commute from home and attend free, independent 12-step recovery support groups, such as Alcoholics Anonymous, outside of a facility setting. 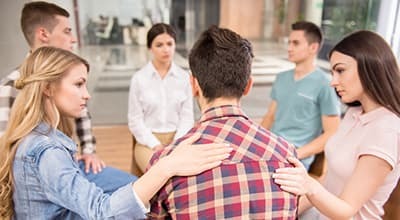 Meetings provide a source of community support from fellow recovering peers, which many people find beneficial in their own recovery process. If you still wish to commute from home but need more help with the physical process of detoxification, you may want to find an outpatient program that often operates out of a rehabilitation center or clinic. If you need more intensive treatment or prefer to stay at a treatment facility during your recovery program, you’ll want to find an inpatient program. Still not sure about outpatient versus inpatient programs? Read more here to make the best decision for your needs. How Convenient is the Program Location? Where would you like your recovery program to be located? Near your home? Near a loved one’s home so you can benefit from social support during your treatment? If you are looking for a more comprehensive addiction treatment program that uses a 12-step approach but can also monitor and assist with detoxification as well as other medical needs, search our treatment directory by entering your zip code, or browse by state to find a program in your preferred location. Do You Feel Comfortable with Others in the Program? Choosing a 12-Step program is a very personal decision. It’s important that you feel comfortable with any facilitators, staff and your fellow program participants. Feeling a supportive environment of respect and camaraderie will help encourage you to keep up your treatment program and recover more effectively. Sometimes, the only way you will know your comfort level with the people there will be by simply visiting the program or facility you might like to attend. Is the Program Religious or Nonreligious? “There are a lot of people who never really thought twice about religion or a higher power and then, for some reason, once they start their journey into recovery, they start looking at things differently. They begin to rely on a higher power and want to associate with others who do…” Read more. Most 12-step programs traditionally follow a spiritual path to recovery that is not necessarily affiliated with a particular religion. Terms such as “God” or “Higher Power” may be used in the recovery process, while leaving it up to you to define what these terms mean. Some people don’t identify as being spiritual, however, and find that they are most comfortable in a program that resonates better with their own set of beliefs. 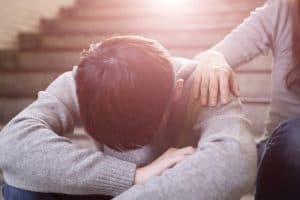 One alternative for those not comfortable with having a spiritual component to recovery is to choose a non-12-step recovery program, such as SMART Recovery. When considering a program, be sure to ask about its 12-step approach, including whether it is religious, spiritual or secular. Choose your program based on which type of treatment you’d prefer. Do You Need a Program That Offers Professional Treatment for Other Conditions You May Also Have? Many individuals who struggle with addictions also struggle with other medical, mental health or behavioral conditions that need therapy or medications. If you are one of these individuals, you will do best to find a dual diagnosis recovery program. Call 1-888-319-2606 Who Answers? to speak with a caring recovery advisor who is ready to help you find the best program for you. A 12-step approach to substance abuse treatment is a structured step-by-step program to help people with an addiction attain and sustain sobriety. 12-Step programs have helped many people with their recovery from drugs, alcohol or other addictions. The 12-Step program can be conducted individually or in groups, usually covering 12-15 sessions. Some of the more well-known programs include Alcoholics Anonymous, Narcotics Anonymous and Gamblers Anonymous. Program principles are based on cognitive, emotional, behavioral, social and spiritual changes that will help you maintain abstinence from substance use. These changes occur throughout the process of genuinely completing each of the 12 steps toward recovery. Willpower alone may not achieve lasting sobriety. Reaching out for help from others must replace self-centered attitudes and beliefs. Long-term recovery involves a process of spiritual renewal. 1. Accepting the need for abstinence. 2. Surrender, or recognizing the need to actively engage with the program to achieve lasting sobriety. The 12 steps begin by admitting powerlessness over the addiction. The program then guides participants through a process of self-evaluation. Participants take responsibility for future sobriety and make amends with people who may have been hurt by their past substance abuse. If you are seeking recovery from substance abuse, the 12 program steps will work you through important cognitive, emotional, behavioral, social and spiritual changes. Cognitive changes – Understand how your thinking has been affected by your substance use, including denial of the problem and recognition of the negative consequences of your abuse. Emotional changes – Understand how certain emotional states such as anger and loneliness can lead to substance abuse, and learn how to effectively cope with these emotions. Behavioral changes – Understand how substance abuse has affected your whole life and how many of your habits have supported your abuse. Get and stay active in the program. Social changes – Attend and participate in program meetings, obtain and develop a relationship with a sponsor, contact the program whenever you’re concerned about relapse, and reevaluate your relationships with people who enable your abuse. Spiritual changes – Experience hope that you can stop using the substance, develop a belief and trust in a power greater than your own willpower, and acknowledge your own problems, including immoral or unethical acts and harm done to others as a result of your substance abuse. Throughout the program steps, many people find a sponsor. Sponsors have successfully completed the 12-Step program and will individually mentor, support and encourage new program participants. Sponsors are also available by phone outside of meetings, providing a protective resource in the face of relapse temptation. You’re not alone in your journey of seeking help. Find support, ask questions and connect with others in your shoes at our community forum! Substance Abuse and Mental Health Services Administration, National Survey of Substance Abuse Treatment Services (N-SSATS): 2013. Data on Substance Abuse Treatment Facilities. BHSIS Series S-73, HHS Publication No. (SMA) 14-4890. Rockville, MD: Substance Abuse and Mental Health Services Administration, 2014. Nowinskim, J., Baker, S., & Carroll, K. (1999). Twelve Step Facilitation Therapy Manual: A Clinical Research Guide for Therapists Treating Individuals With Alcohol Abuse and Dependence. National Institute on Alcohol Abuse and Alcoholism, p. 3-4.